Returning to the SMMT Test Day after the extravagant ‘twelve cars in one day‘ affair of last year, ESM promised to try to be more selective over driving choices this year. The result was certainly a varied motoring experience, to say the least. It’s the potentially the biggest day of the year for anyone who writes about cars, bringing manufacturers and media together in one place. The problem comes from being faced with well over 100 cars from almost 40 different manufacturers – there’s almost too much choice of what to drive. But there’s also the challenge of getting to drive the most popular stuff. The Ford Focus RS, Ford Mustang, Audi R8 and BMW M2 were big attractions, so ESM decided to take a slightly more left field approach this year. Despite the promise to avoid the ‘drive everything that moves’ scenario, we still finished the day having tried a dozen of cars. Perhaps that is just our default setting at SMMT? Either way, here’s the lowdown on what we got behind the wheel of. Due to the sheer number of cars driven, we’ve split our day into two parts. 1. 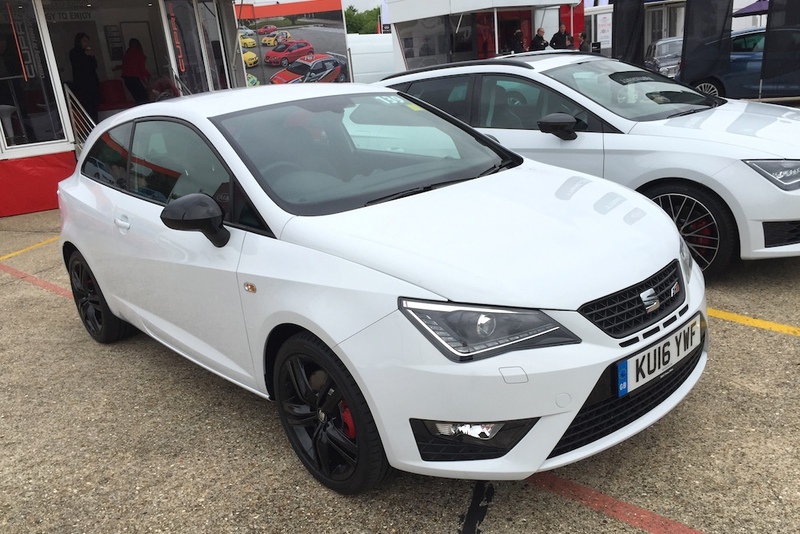 SEAT Ibiza Cupra When is a VW Polo GTI not a Polo GTI? 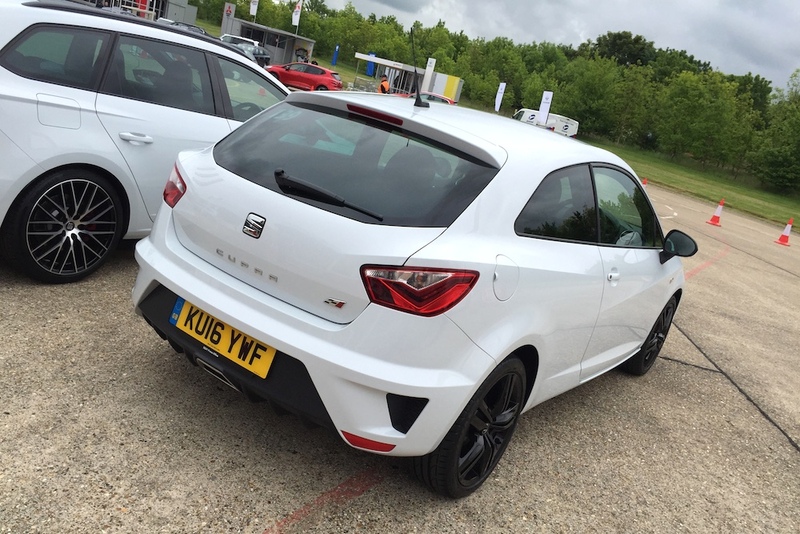 When it’s draped in the Spanish body of a SEAT Ibiza, that’s when. Having just literally climbed out of our Polo GTI, getting back in to the Ibiza Cupra felt instantly familiar. Everything fell into place rather quickly, which meant no delay in getting up to speed in testing it out. Interestingly, the doors rattle the same as the GTI where the body meets the seal. There are some differences, however. The exhaust note warbles a bit more than the Polo, the gearshift throw is minutely shorter, and the suspension didn’t feel quite so rock-hard in sport mode. Quite possibly we’d need to spend more than just a few short minutes with the Ibiza Cupra to draw out the individual nuances. But it’s good, and if you pick this over a Polo GTI you’re not making a bad decision. Also, tip of the hat to SEAT’s press office for emailing details of the car being driven immediately. That’s impressive service. 2. 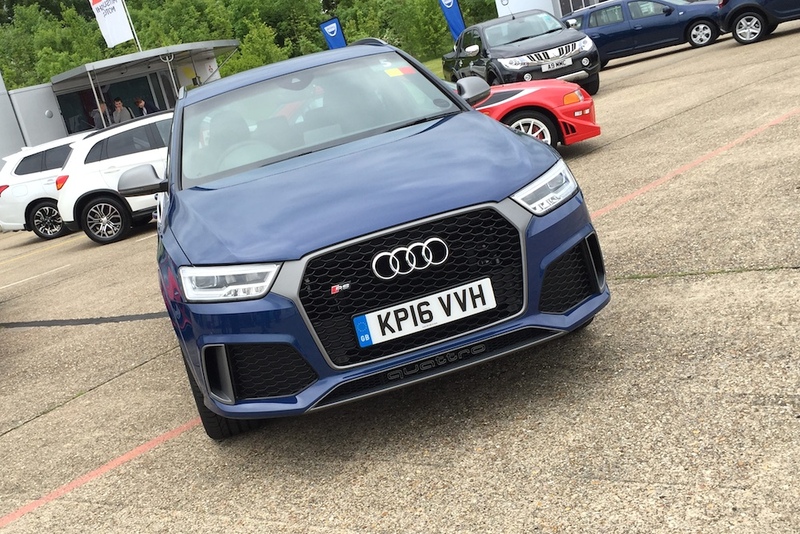 Audi RS Q3 Performance A quattro all-wheel-drive system connected to a five-cylinder turbocharged engine sounds like a recipe for a retro rally car, rather than a fast crossover. But that’s exactly what the RS Q3 packs underneath, and it makes for a fairly entertaining creation which lets you live out your Group B rally fantasies with the whole family. Good sounds come from back here. The warbling five-cylinder engine dominates proceedings, pulling strongly – and loudly – with the seven-speed DSG gearbox shifting quickly. 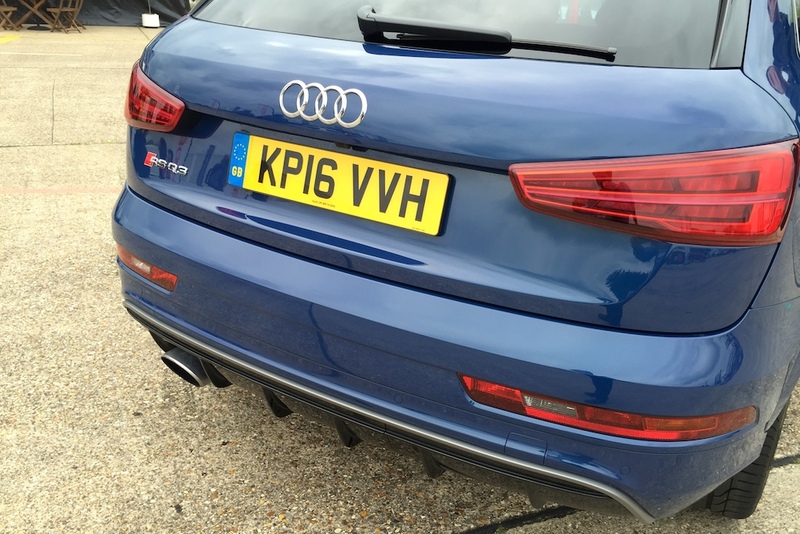 Although this RS Q3 Performance version is lowered by some 20mm, and with the suspension set to Dynamic mode, you can’t quite escape the sense that the centre of gravity is quite high up. Braking also took some effort, with a hard feel to the pedal, whilst the steering was weighty if lacking in outright feedback. It’s ultimately a niche vehicle, but one that makes you smile more than the prospect of driving a crossover ever normally would. It’s not sensible, but it’s very much an ESM car. Drive it today and the overall experience is still quite modern. The 1.9-litre diesel engine was never the smoothest, and makes some classic derv noises to boot. But it does at least offer up big hits of mid-range twist, forcing you to work the smooth six-speed gearbox. Handling leans more towards cruiser than carver, although it rides with a controlled comfort that many modern cars would do well to emulate. Perhaps what dates it most is a slabby, hard plastic interior and styling that is best described as a little bit dumpy. 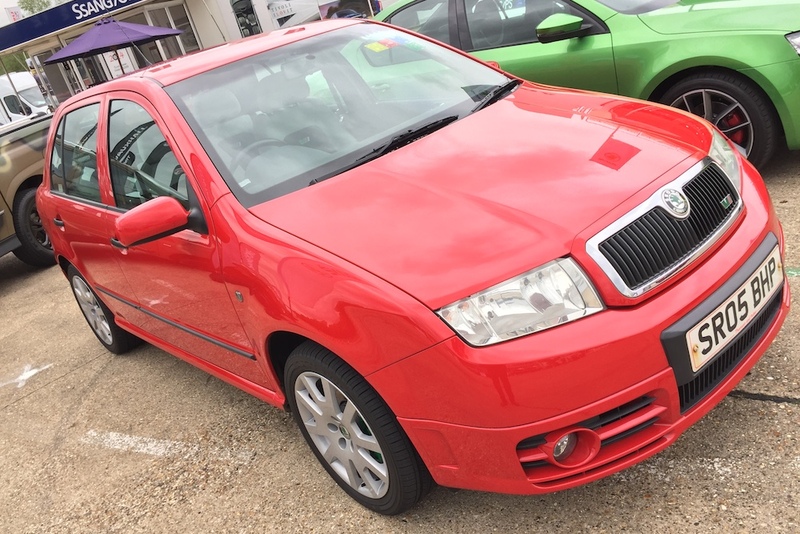 You could easily use an original Fabia vRS everyday, and there’s something slightly charming about it. 4. Infiniti Q30 2.0t Sport DCT AWD Another example of one car hidden beneath the body of a different one. Fancy a Mercedes-Benz A-Class, but one wearing an alternative badge and built in Sunderland? You’re onto a winner here then. 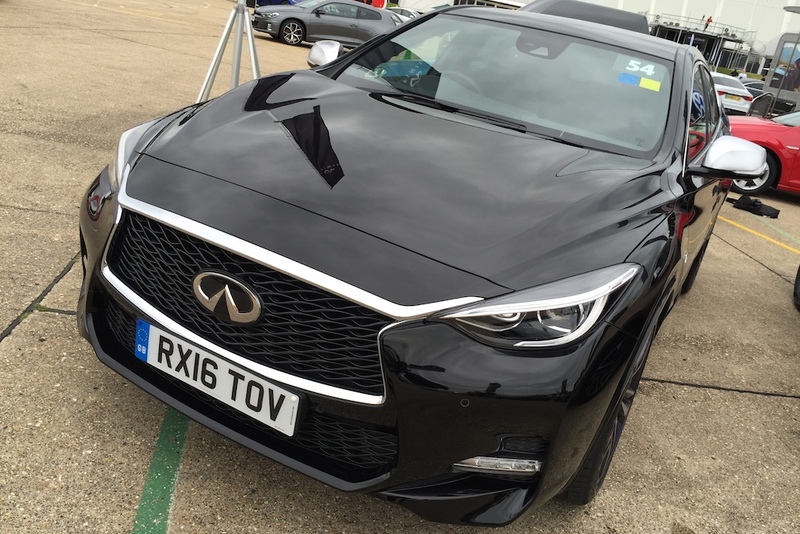 Infiniti is, in case you’ve forgotten, Nissan’s premium brand, and this particular Q30 is the range-topping AWD Sport version with a petrol 2.0-litre engine. Or, it’s a Mercedes-Benz A250 Sport wearing a fancy frock and costing the same money. Your call. Interestingly, it’s a whole second slower to 62mph than the German car. 5. 2000 Mitsubishi Lancer Evolution VI Tommi Mäkinen Edition They say never meet your heroes. Driving the Evo VI Mäkinen Edition broke that rule for ESM‘s Editor, but it was totally worth it. Even if the experience was chaperoned by a Mitsubishi employee, and limited to Millbrook’s rather boring high-speed bowl. Nope, there was no carving through twisting bends or cresting jumps in the low-mileage museum piece, which is signed by Mr Mäkinen himself. Given how rare and special the Mäkinen Edition is, Mitsubishi and naturally protective over it when faced with a sea of motoring writers. What driving around in circles did uncover was how strong the 2.0-litre turbo engine felt pulling through the gears. 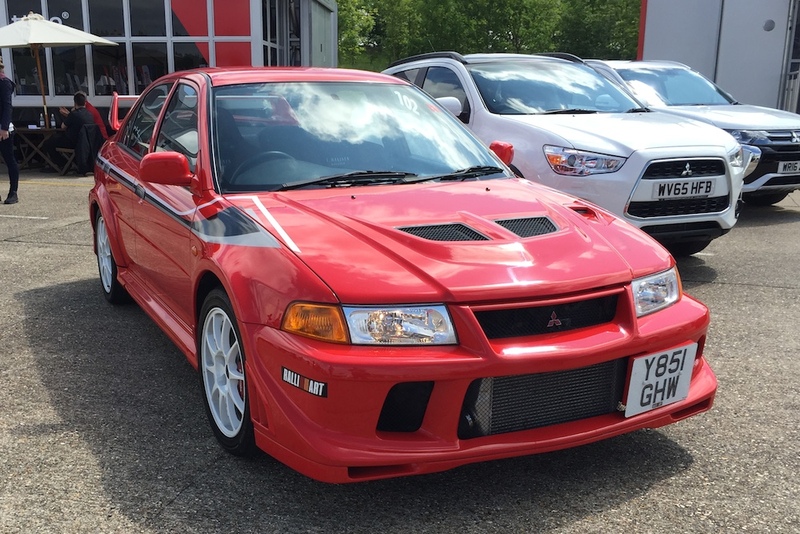 It also showed off quite how well the Evo VI rode – something of a surprise given the rally-bred underpinnings – although it might be more of an indictment as to how badly modern cars ride. The steering had such a beautifully natural weight and feel to it, that it does nothing but pour fuel onto the debate about electrically-assisted power steering. Without being overly cliché, the Evo VI managed to feel wonderfully organic to drive fast – a true hero machine. We can only dream of what using it in full anger must be like. 6. 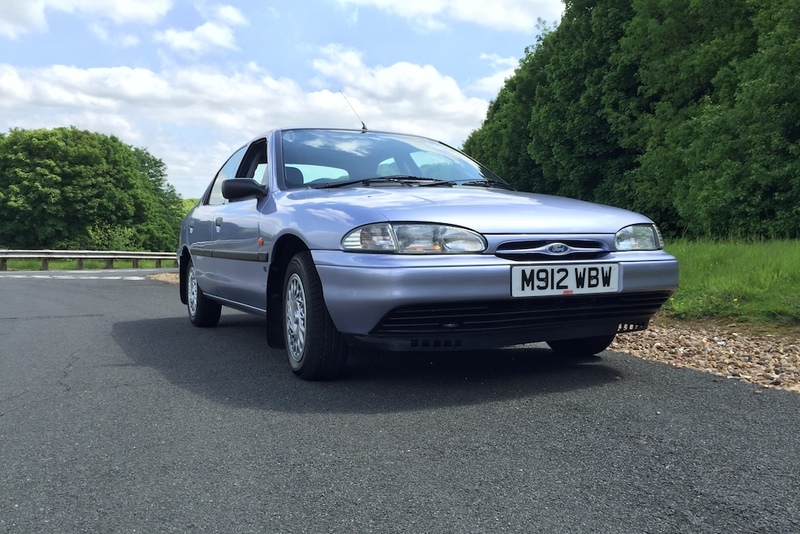 1995 Mk1 Ford Mondeo 1.8 LX Stick with us on this one! 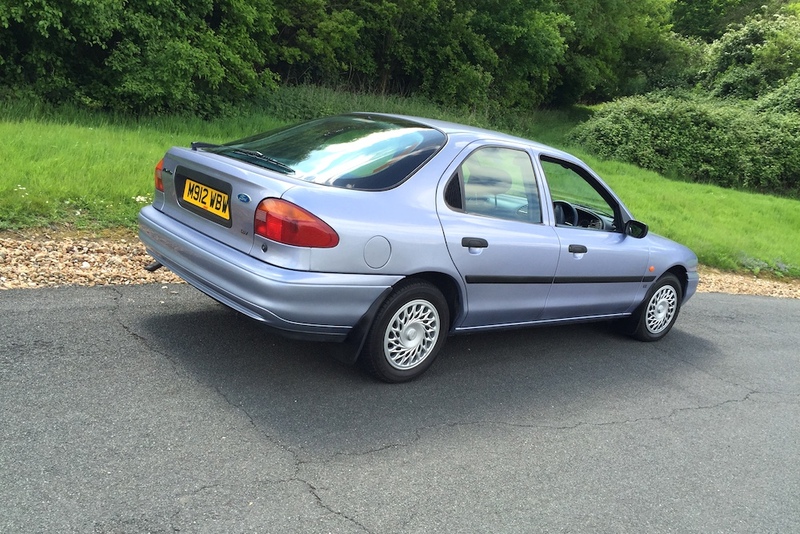 Back in the early 1990s the Mondeo was genuinely revolutionary. It won the 1994 European Car of the Year award, established itself as the benchmark for a whole class of cars, and even became the backbone of New Labour’s 1997 election campaign. Suffice to say the original Mondeo had quite a reputation to live up to, yet it didn’t disappoint. Even with a blue velour interior. Despite only having the 1.8 16v Zetec engine, this Mondeo never felt outgunned around Millbrook’s hill route. It does slightly question the modern fascination with ever greater power outputs, although a kerb weight of only 1,255kg obviously flatters compared to new machinery. Given the hype of the ‘legendary’ Mondeo chassis, it was pleasing to find that a family saloon from two decades ago could be entertaining to drive. You could quite easily use one of these everyday, and it’s easy to see why it was such a big deal in the 1990s. That’s the first group sorted, so be sure to check back tomorrow for part two. It got expensive, and a little weird. Good read John, I got through 19 cars on the day so needless to say I got rather carried away! I also drove the Fabia VRS and I’d say it was a solid, dependable car but the styling lets it down. It’s not aged well in my opinion, especially the interior… I did think about driving the Evo but I was put off by the fact you could only take on the bowl and you had to have someone in the car with you. Cheers Aaron! Nineteen cars is seriously good going – you must’ve never stopped!